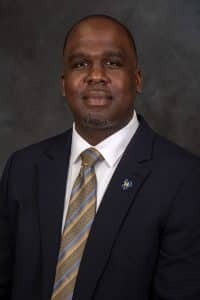 Kedrick Nicholas, associate dean of students at McNeese State University, has been elected as the 2018-2019 president of the Louisiana Association of College and University Student Personnel Administrators at its recent conference. 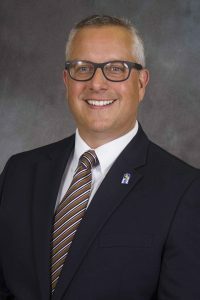 He is the eighth McNeese student affairs staff member since 1978 to serve as president of LACUSPA, which is an organization dedicated to servicing higher education professionals, students and associates in Louisiana. Nicholas has served as a LACUSPA board member for the past three years. 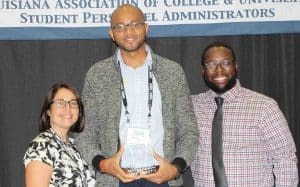 The McNeese CARE Mentorship Program was recognized as the 2018 Program of the Year at the LACUSPA conference. CARE (Connect, Accelerate, Retain and Engage) is an outreach program designed to connect at-risk students with the resources and opportunities offered by the university to help them succeed. 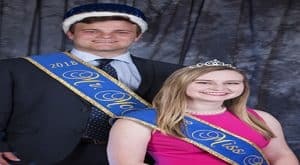 Students are paired with faculty, staff and student leaders who serve as mentors to provide support and encouragement. Over 70 students have benefited from the program that began in 2017. Dr. Chris Thomas, interim vice president for student affairs at McNeese, presented an educational session titled “Emotional Support: A Different Kind of Animal” at the LACUSPA annual conference. Thomas shared his expertise and research on the evolution of emotional support animals in society and how it is impacting university campuses. 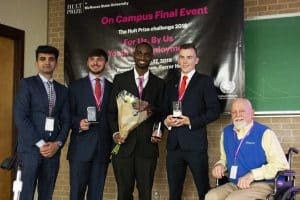 The McNeese student team of Torrey Byrd, management, Bossier City, Jacob Eccles, general studies, Lake Charles, and Brian Flanagan, general business administration, Dublin, Ireland, captured McNeese’s Hult Prize competition for their innovative idea of a youth-driven bike delivery service utilizing information and communications technology within densely populated areas. This service promotes bikes as a cheaper transport alternative for deliveries and offers more job opportunities for young people. The team will now travel to Chicago – one of 15 regional sites – to compete against university teams from around the world next March for a chance to move on to the finals and win $1 million in September 2019. Two radiologic sciences faculty members where elected officers in the Louisiana Society of Radiologic Technologists. Allison Puente, clinical assistant professor, was elected as first vice president while Sara Jessup, clinical assistant professor, was elected as second vice president. Greg Bradley, head of the radiologic and medical laboratory science department and program director of radiologic sciences, was elected as the second vice chairman of the Louisiana State Radiologic Technology Board of Examiners, which oversees the licensing provisions for all radiologic technologists in Louisiana. 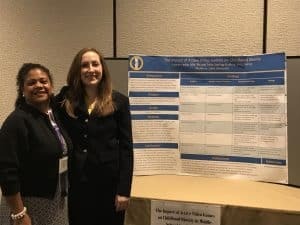 McNeese’s Student Nurses Association officers received two awards at the recent Louisiana Association of Student Nurses convention – the Most School Spirit award and Highest Increase in Membership award among the Louisiana schools attending the convention. Officers include: president, Kristin Sharp; vice president, Taylor Robbins; secretary, Luke LeBouef; treasurer, Macy Fazio; recruiter, Caitlin Fuselier; senator, Shelbi Monceaux; parliamentarian, Meeyana Richard; and faculty advisers, Katrina Carter, assistant professor of nursing, and Sara Logan, student services coordinator. 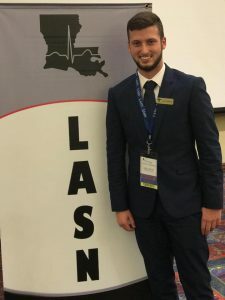 LeBouef was also elected to the 2018-2019 LASN Board of Directors. Dr. Henry B. Sirgo, professor of political science at McNeese, chaired the “Early 19th Century” panel of the Great Legislators/Legislation International Conference/11th Triennial Deep South Conference at Louisiana State University – Shreveport. 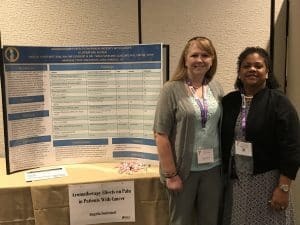 Dr. Twila Sterling-Guillory, associate professor of nursing at McNeese, and two nursing graduate students, Lauryn Leslie and Angela Fontenot, presented papers at the Louisiana Association of Nursing Practitioners Conference in New Orleans.